This is a guest post by Joel Erway, EIT, author of 30-Minute EIT: How to beat the FE exam without beating your head. Here at Engineering Management Institute, we highly recommend our friend and sponsor, PPI, for your FE exam review. As an exclusive benefit to our supporters, PPI has extended a 20% discount on their exam review materials. All you need to do is enter promo code PASS8 at checkout at ppi2pass.com . Over the past three years, I’ve spoken with many engineers who are looking to advance their careers by becoming a licensed Professional Engineer (PE). Some are students fresh out of college and others are engineers who have been out of school for more than 10 years. But they both face a common problem. streamline your FE Exam preparation. The Fundamentals of Engineering (FE) exam is a beast. Six hours long, 110 questions, and up to 18 separate subjects to study for, depending on your discipline. It scares most people just thinking about studying for it, and some quit before they even start. And let’s face it, nobody has TIME to study for this test. But the ugly truth is that if we want to put ourselves on a career path for success, we NEED to pass it. According to the Engineering Income and Salary Survey, licensed Professional Engineers make on average more than $104,000 annually. And the demand is going to continue to rise. The US Bureau of Labor and Statistics says that due to the flux of retirement expected from the baby boomer generation in the next few years, two major engineering markets, construction and computer occupations, are predicted to grow by 21.4% and 18.0% respectively. YOU are in high demand. Will you find a job without credentials? Statistics show that yes, you probably will. In fact, you will most likely make a decent living, too. According to a recent PayScale.com report, engineering specialties make up seven of the 10 majors with the highest salary potential. But do you want to be stuck in your career, like Mark Johnson, PE, was before he finally realized he had reached his career ceiling without his credentials? That’s up to you. But you’re certainly leaving plenty of money and opportunity on the table without them. 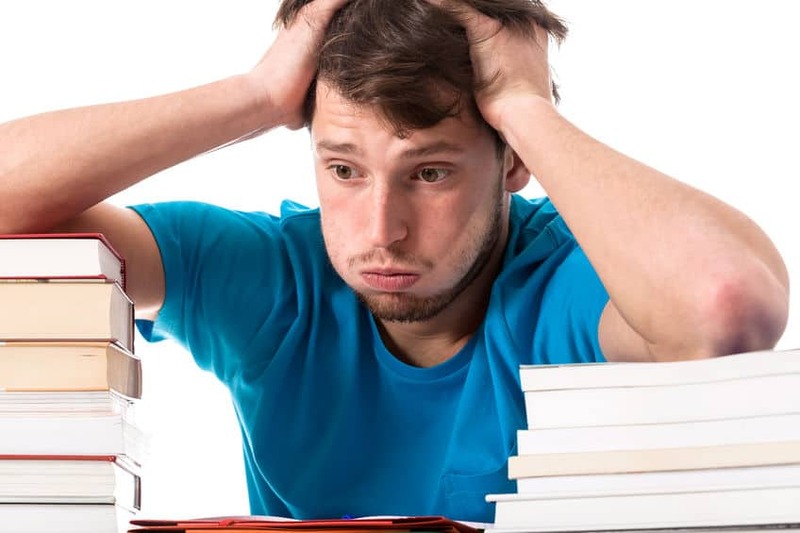 I want to share with you what engineers have told me is the most valuable piece of content from my #1-ranked Kindle study guide, 30-Minute EIT: How to beat the FE exam without beating your head: overwhelm. This is something I focus on helping you overcome in the book. From what my readers have told me, if you are overwhelmed, you probably don’t even know where to start. Or you have other obligations that take priority over studying for this test, and the last thing you want to do is try to relearn all of this content (some of which you may never have learned in college). But here’s the thing: you don’t need to know it all to pass. In fact, trying to do so will certainly hurt you more than it helps! That’s why I created the ABC categorizing method for approaching this exam. Do you know what stumps or stalls us when preparing for the FE exam? We start looking at what we need to learn, and then we look at the 1,000-page review manuals and practice tests, and we freak out. And I wasted more than $600 on an online review course that aimed to teach me every single subject on the FE exam. Yes, I said wasted. And I gave up. Literally. And it was the best decision I ever made during this test preparation. You see, many of us feel that we need to learn every subject on this exam to pass (hint: we don’t). And this review class was set up to teach the material in that way—eight hours a day, every Saturday and Sunday, for six weeks straight. After week two, I knew I had to make a pivot or I was going to lose my mind. I decided to find the answer like any engineer would. I started calculating. Was It Worth My Time…? Turns out, I couldn’t. So there was no point in wasting my time preparing for these subjects when my odds of choosing the right answers by guessing were just as good or better. This is key, because we are limited to only six hours to complete this test. So not only do you need to be intelligent but you have to be efficient, too. Time spent on low-chance problems was time wasted for higher-chance questions more worth my time. I picked my four weakest subjects and told myself I would only study the very, very basics. And when I came across these questions on the test, if I couldn’t recognize how to solve them, I would guess and move on (by the way, there’s an art to guessing, too). And then I started to think about this whole approach even further. The Lindeburg review materials I was using stated that, although the passing scores vary, they are typically between 50 and 55%. I had already defined what my weakest subjects were, and I knew what percentage of correct answers I was going to expect on them. What if I could define my stronger subjects and predict how I would perform on those? I knew that in order to do this I would need to set a goal for an overall score. I went conservative based on the Lindeburg data and chose to shoot for 60% correct. This changed everything, because I stopped thinking in terms of trying to get everything right and started thinking that it was okay to get four out of every 10 questions wrong. I started breaking down my preparation even further. I listed out my strongest subjects. These were the subjects that I felt very confident in, and with a little extra work I could bank on getting 85% of those problems correct. I knew that this was going to be the bulk of where my points came from, so I was going to spend the most time preparing for it. Then, I made another list. This list consisted of subjects on which I was mediocre. I knew that I could get a majority of the problems correct, but there were still going to be some that would trip me up. I aimed for 60% correct on these subjects. This became known as my ABC approach. My “A” column was a list of subjects I felt I could get 85% correct. My “B” column was subjects I could answer at least 60% correctly, and the “C” column was 25% correct. Once I created the list, I tabulated them out and summarized the results. NCEES gives us a range of the anticipated number of questions for each subject. While we can’t know exactly how many of each subject will be on the exam, we can provide a conservative guess based on the low and high ranges. I knew that in my worst-case scenario, NCEES would provide the lowest range, or fewest number of questions, on my strongest subjects (A and B) and would provide the highest range on my weakest subjects (C). So, if I were to summarize the total percentage of questions in each column based on the NCEES exam specifications and multiply that with the anticipated number of correct answers, I should be able to gauge how well I would do on the exam. I know the low and high range of each subject based on the mechanical engineering specification NCEES provides. There are 110 questions total on the exam. So to get each subject’s low and high percentage, I simply take the low and high range and divide it by 110. So for mathematics, the range is six to nine questions. Convert that to percentage and we get 5.5% (low) and 8.2% (high). I do this for each subject in each column and summarize at the bottom. Then, I take those summarized values and multiply them out by the anticipated percentage of correct answers I predetermined. If I summarize these numbers, I should figure out my approximate test score. 30.9% + 23.5% + 6.1% = 60.5%, which is greater than our goal of 60%. Success! The beauty of this approach is that it’s completely flexible and has some buffer built in. The reality is that odds are in our favor: it’s unlikely that our strong subjects will be minimized and our weakest subjects weighted most heavily on the exam. But for planning purposes, this works well. Joel Erway, EIT, is a former HVAC design engineer, sales engineer, accountability coach and educator. He is the author of the #1-ranked Amazon Kindle study guide 30-Minute EIT: How to beat the FE exam without beating your head, which currently holds a 4.8/5.0 star rating on Amazon and has been educating engineers for the past five years. Here at Engineering Management Institute, we highly recommend our friend and sponsor, PPI, for your FE exam review. As an exclusive benefit to our supporters, PPI has extended a 20% discount on their exam review materials. All you need to do is enter promo code PASS8 at checkout at ppi2pass.com.